Cincinnati Web Design + Development Agency | Primax Studio! Primax Studio has been building websites in Cincinnati and around the world since 1994. This is a sample listing of some of our specific Web Design projects. Primax Studio also provides SEO consultation to many companies in the Tri State area.  Check out our Cincinnati SEO page for more information. We are Cincinnati’s most experienced team of web designers, developers and SEO experts specializing in WordPress, SEO, e-commerce and branding solutions! For 20+ years we’ve been dedicated to helping clients with web design, brand identity and SEO marketing solutions in Cincinnati and beyond. If you can dream it, we can build it. From simple websites to custom-built web applications we make sure your on-screen personality stays consistent, functional, and responsive across all devices. We specialize in Responsive Web Design, WordPress, E-Commerce and SEO development strategies. We will collaborate with you to ensure a powerful and unique online presence. Do you need an online store? We can build it for you! We can program the store to meet all of your requirements that might include custom shipping, taxes, coupons, mailing lists, CSV import / export, payment gateways, etc… If you want to sell 10 or 100,000 products online we can create an easy to manage store for you! Check out some of our e-commerce solutions. We bring all of our skills together so your customers can find your web site. We’ll leverage our local Cincinnati Search Engine Optimization Knowledge to help you beat your competition in the SEO game. For 15+ years we have been Google SEO and AdWords Marketing Specialists. We can develop strategies to bring new customers and clients to your website!